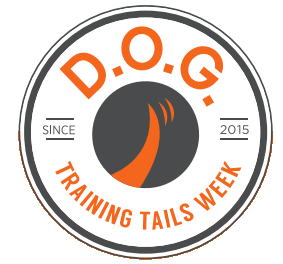 What: D.O.G Training Tails camp is for kids 11 – 15 old who are interested in learning more about how to train and care for dogs. All dogs will be provided by our trainers. Kids will spend the week learning to teach everything from obedience, tricks, and agility to fixing common behavior problems such as jumping. Throughout the week speakers will present on topics such as first aid, and search and rescue as well. This week is not only educational, but extremely hands on and fun! Cost: Early Bird Registration- $235. After April 30, $255. All D.O.G. Training Tails Youth Week events are included. Campers should bring their own lunch and waters will be provided. Space is limited to 16 participants so register today! Click here to register! What: At one time Easter egg hunts were an activity just for kids. On April 20th we aim to change that tradition as we bring you the K-9 Easter Egg Hunt! You have come to enjoy many of our community events, and this one will be no different. Photo booth: Dress them up with our props, jump in the photo, or just keep it simple. We will send you a quality photo after the event. Obstacle course challenge: Can your pup conquer our exciting course? Easter egg Hunt: Assist your pup in finding treat filled eggs. This activity does require registration for hunt times. This activity is $10. Limited spots available in each run. You will not want to miss out on the fun and games at our first annual K-9 Easter Egg Hunt! Though we have a small cost on the hunt itself, the rest of this event is entirely free. Bring your friends, family, and most importantly your pup! We cannot wait to see you on the 20th of April. Please visit the new Clinics page for information regarding clinics offered by our expert staff!